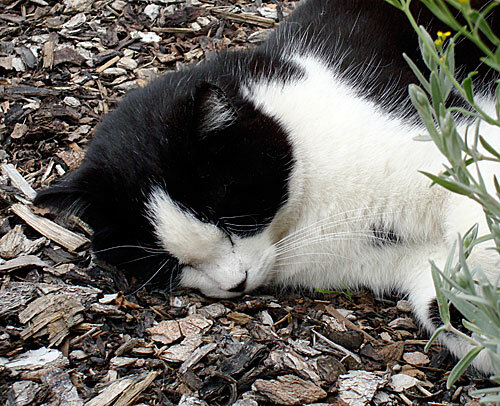 A cat of our acquaintance's natsubate strategy: All-day naps in the shade. August is particularly bad in the Tokyo area where I'm from, as it is in most parts of Japan except for the northern parts of Hokkaido. It gets really hot, and the high humidity makes everything and everyone moist, sticky and generally nasty. There's a bit of relief in the form of a brief evening thunderstorm (夕立　ゆうだち　yuudachi) most days, but the respite is temporary. Getting a decent night's sleep without air conditioning is pretty much impossible. The term to describe the stage of lethargy and fatigue brought on by this hot, humid weather is 夏バテ　(なつばて　natsubabe; literally 'summer fatigue'). Japanese people have devised various ways of combatting it. Some are food related, and some aren't, but here are some of my favorites. An obvious strategy perhaps! It does mean that there are lots of delicious cool drinks and snacks in Japan. My favorite cool summer drink is mugicha or roasted barley tea. Other quintessentially Japanese summer drinks include ramune, a lemony drink that traditionally came in a glass bottle stoppered with a marble (the word ramune is derived from the English 'lemonade'); iced coffee, which can be served black, with sugar, or with milk and sugar, and is a popular vending machine item; and Calpis, a fermented, sweet milk-based drink (more about Calpis in another post!) Ice cold beer and sake are very popular too. Surprisingly perhaps, iced green tea is a fairly recent invention, promoted by bottled drink manufacturers. To digress: Ice cube culture! In Japan, cold drinks are usually served with lots of ice, either cubes or crushed. The same goes for the U.S. But here in Europe, cold drinks are often served with no ice cubes at all. Even places like McDonalds (which are all over France, especially in this area) only include 2 to 3 measly ice cubes in their drinks. When I ask people here about this I get two explanations: Ice cubes dilute the drink; or ice cubes are bad for your digestive system. (But if ice cold things are so bad for the tummy, why all the ice cream?) I love to crunch down on ice cubes when it's hot, so I feel deprived! Other cool snacks include mitsumame (みつ豆), a sort of fruit cocktail with cubes of kanten (agar-agar) and cooked azuki beans; anmitsu (あんみつ), soft rice dumplings (called shiratama) with sweet azuki beans (an) and fruit; and kureemu anmitsu (クリームあんみつ), animitsu with vanilla ice cream. Here's my very derivative version of kureemu anmitsu, using strawberries in balsamic vinegar instead of sugar-syrup. Below is a more traditional kureemu anmitsu by yumiko tanaka. There's even a savory cool snack, called tokoroten(ところてん）, thick noodles made from a seaweed called isinglass, with a vinegar-soy sauce sauce, topped with hot mustard and other things. Tokoroten is almost no-calorie if you use the eastern Japan style vinegar sauce. (In western Japan a sweet sauce is used instead.) The slippery texture may take some getting used to though. Heres a photo by CookieM. Other cooling foods, from chilled salads to watery vegetables like cucumbers and eggplants (aubergines) are consumed to cool down the body. A popular easy to eat meal is cold noodles - soba (buckwheat noodles), so-men (very thin wheat noodles), _hiyashi chuuka_, udon and so on. Some assert that sutamina can be gained by eating organ meats. There are little restaurants that specialize in grilled organ meats, called horumon yaki (ホルモン焼き　ほるもんやき), literally translated as 'grilled hormone'! Typical horumon yaki ingredients include things like hatsu (heart), motsu (kidney or stomach), hatsu (heart), tripe, and other innards from pigs (and boars), cows, and poultry. Other sutamina giving foods include garlic, ginger and spicy foods (especially curry). I have fond memories of going to stay at my grandparents' during summer vacation. After playing out in the hot sun all day, my grandmother would always insist on my cousins and me having a salty umeboshi each. 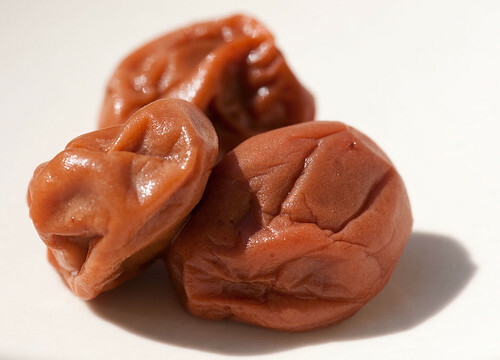 Umeboshi went a bit out of fashion for a while, due to concerns about high sodium, but they seem to be coming back in style now, since they are supposed to quite good for you, despite the salt. What are you favorite ways of keeping cool? Submitted by maki on 2009-08-06 09:28. Great list! I had read about "summer fatigue" in some mangas but couldn't quite grasp what they were talking about. Hi. Thanks for this post - it is very timely as it is extremely hot in NYC these days! I wanted to point out, for the sake of vegetarians especially, that as far as I can tell from other sites, tokoroten is made from agar/kanten, which is sometimes called "Japanese isinglass" according to Wikipedia. "Isinglass" without the qualifier "Japanese" refers to the swimbladders of fish, and is an animal-derived product (sometimes used in the making of beer). Japanese summers sound suspiciously like Nebraska summers. Which I mostly combat by staying indoors unless it's very early or very late whenever possible, getting to bus stops at the last possible moment when I need to go somewhere (the buses are air-conditioned), and drinking lots of iced mint tea. Cotton clothes are kind of a mainstay for me, rather than a summer-specific thing, but I see the sensibility behind yukatas too. Hi Maki, thanks for the great list! I love mugicha, too, but was introduced to it in Korea, where it is boricha. Really cold barley tea is so nice on a hot day.Strangely, this year in Montreal we have not had any hot weather to speak of, so I haven't gotten a chance to employ any cool-down strategies yet. Thank you for the post. I would love to taste the kureemu anmitsu. As for keeping cool, well I live in Ireland, that is not a problem for me! Well, it's been pretty hot and humid in Southern California these past few days. So, I've been staying cool by reading manga indoors and eating lots of salads, fresh cold fruit and grilling outdoors. For refreshing drinks, I like ice cold teas, like iced black tea or Trader Joe's red chai (it's a red rooibos tea with chai seasonings). Of course, a nice local microbrew beer is pretty nice, too, especially if we're doing a "snack" dinner -- which basically consist of appetizer-like components that we combine into a meal with a salad on the side. Our most recent snack dinner involved spring rolls, pan-fried gyoza and salad with a spicy Asian-styled vinaigrette. Oh, and mitsumame is reminiscent of Filipino halo-halo, a parfait of sorts involving shaved ice, milk, fruit and sweet beans. Makes me wonder what came first -- mitsumame or halo-halo! I was in Japan exactly one year ago and all I really remember is being constantly hot and sweaty and drinking mugicha EVERYWHERE. Ditto the reply about Southern California! And luckily, the fruit is indeed lovely this year. I developed a love for Mugicha when I lived in Tokyo. I still adore it, and drink it regularly. It's great for those who don't do caffeine of soft drinks well. The summers in Japan were barbaric! I used to take the train out of Tokyo to a big park named Inokashira Koen. Even if it wasn't all that much cooler, wandering through the trees and the shade was so enjoyable. Ice cold beer took on a new meaning... especially in the evenings in my yukata! Love your blog! and love the sound of the fuurin! It gives you the feel of that momentary cool breeze in that hot hot weather, and always reminds me of the summers I spent as a child in Tokyo. Thanks for the memory! in Japanese does not translate to the English "hormone". The word horumon comes from the kansai region. People used to throw away the organs, not eating them. "Horu", means to throw away and "mon" comes from mono (物). So horu-mon means "things we throw away." Apparently, eating horumon only started after World War 2, when food was scant. I'm actually a little jealous. I'm in Bristol (UK) and while it's been very humid, and very very wet, it's not been particularly warm. We did have a week or two a while back, but not the long hot summer I was hoping for. Normally I don't really like the heat. However it's been so long since we've had a real 'kick off the sheets because it's too warm' summer that I'm actually missing it. I want to wear summer clothes and eat ice cream again! Ha ha, many familiar things in this post, including the lazy summertime cat. Lots of cold drinks (mmm, crunchy ice is good) and frozen items. I need no excuses to eat more unagi, and I've been seriously considering buying a yukata lately. One of the more amusing ways to keep cool is widely practiced by stores in the French Quarter of New Orleans--just crank the AC way, way up and leave the doors open, and the tourists will at least flock to the doorways. It's time for grapes here, and I just came home from a 111th annual Grape Festival famous for it's fried chicken and spaghetti dinners, local grapes for sale, and more recently the sale of grape ice cream. By far one of my favorite flavors. Though I think part of Japan is known for grapes and grape ice cream? I love anything grape-flavored! I never tried grape ice cream, though. Now that I think about it, why isn't there grape ice cream (in regular supermarkets)!?! I know, right?! Ben and Jerry's, etc. are really missing out. At least a sherbet or something? It's pretty easy to make it yourself, though, if you have an ice cream maker. Just reading your post makes me hot. Living in Miami it's natsubate every day in the summer. Thank goodness for air conditioning. Back in the summer of 1992 we lost our power for over two months. I took a cold shower three times a day. I couldn't get enough icecream...I wish I knew how to make a yukata it is absolutely beautiful. Thanks for the lesson on culture. Wow, that first paragraph describes some of the places I visited in China perfectly! The heat and sun could get unbearable. Unfortunately, I dislike Chinese ice-cream, and they don't like putting ice cubes in drinks either! Wish I'd had access to some of these wonderful sounding treats. Though I suppose I tasted my share of delicious food! While reading I had to laugh. I live in Baltimore, MD USA where it is famously humid and hot in summer. We too eat shaved ice with sweet syrups drizzled over it, some concoctions are closely-guarded homemade recipes. We call them "snowballs" and snowball stands are everywhere. It's August now, usually the toughest month to suffer through, (referred to as the "dog days of summer")and the heat is still bearable, an unusual summer. Another great way to beat the heat here is to go swimming, preferably going "down the ocean" to do it!! I will be trying some cold noodles soon. Here's to summertime on opposite sides of the globe! Baltimore is not that bad. I live in St. Louis and I thought I was experiencing similar hot & humid summers compared to Japan. Maki-san, your post reminded me that I used to love drizzling concentrated calpis on my shaved ice! we used to get different flavor ones for Oseibo. One of my favorite ways to keep cool during hot, humid days is eating a very cold slice of watermelon. But summer has been quite mild here in Montreal, it's almost skipping a season and going right into autumn with a 13C temperature right now. My wife's mums old relatives send a summer parcel every year to us here in Kyushu(Chugen I think its called. )..Shimane prefecture is famous in Japan for a specific dwarved red seedless grape. She sends a truckload every year...We give some away as Omiage(souvenirs) but freeze most. They are awesome as an icecream style, combat the heat treat during this oppressive heat here. freeze your grapes folks..they are great! Living in the sweltering heat of Kyoto, we only get by with a) air-con b) Hiyayakko Tofu (thanks Maki!) and c) heading to the river where a breeze manages to find a path through the city, especially when we realize how much air-conditioning costs! I've been trying to be more conscious of the use of electricity in my house as of late, and Air conditioning is one of the big things. We have to keep our heat low in the winter to keep natural gas bills down, so by the time summer rolls around I'm used to sleeping in sixty degree rooms! So, you can guess that I like to keep my AC low in the summer to get some sleep. So to combat the heat enough that I can sleep? Lots of water, getting what I need to get done in the early hours of the day, and keeping my room dark by keeping the shades drawn. It's gotten to the point that I can keep the AC off during the day, since the other two in the house have to be on to keep the dogs cool. I loved reading this post. Reminds me when I lived in Tokyo and had to commute all over the place in that ungodly weather. Better than in June though and monsoon season. Now that was a trial! 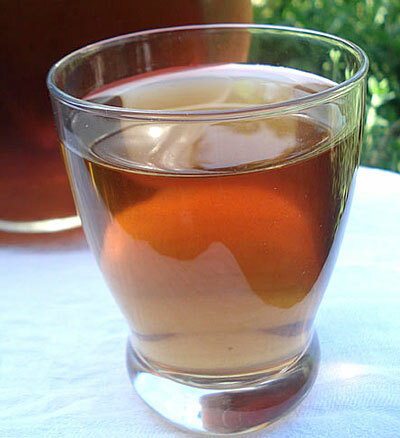 It's currently raining here in Glasgow, but when it is warm, I sometimes make iced earl grey -- usually some 6-8 bags stewed in 1 cup of water to make a concentrate, then dump it into a jug of cold water, and add lots of lemon and ice to it. I used to make iced coffee as well -- generally by cold brewing it overnight -- 4 tablespoonfuls -- in a cafetiere (it seems to keep it from getting bitter, gives it a sweeter taste), and then swapping the mixture into a clean jug in the morning, and adding condensed milk. I can't drink coffee anymore, though, because it ends up making me very jittery. 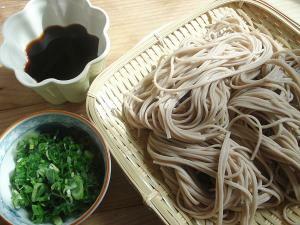 I've also used your cold soba noodles recipe now and then as well. ^_^ It's very enjoyable. I was in Osaka with my husband in June and we had the best frozen yogurt at a little shop on the 7th floor of Yodobashi Camera called Yami Yogurt. We still mention it once in a while. We keep saying that if (hopefully when) we go back to Japan again that we need to go get more! The frozen yogurt there puts the stuff here to shame. I live in Utah, so it's a very dry, but very high heat. I love taking a cool shower or bath right before bed. I'll also take an ice-pack sometimes and lay it on my chest or stomach when I go to bed. It helps lower my core temperature a bit and cools me down enough so that I can get to sleep. I'm also a fan of getting a large shaved ice at one of the many small stands here. Ice cream, iced tea, summer dresses, and leaving the fan on 24/7 (still cheaper than occasional A/C). I also like to dampen a washcloth with cold water and wipe my arms and neck...feels nice and cool as the moisture evaporate from your skin. I got 3 yukatas from ebay, and LOVE how comfortable they are (I don't use the wide obi, I wear it the way Otsu does in Samurai Trilogy). It is my year-round lounge wear. I can't say that it keeps me cooler than a tank top and shorts, but definitely more comfortable. In colder weather, I wear it over my PJs. Good for laundry days too. I just moved to Japan two months ago and am just tremendously enjoying your entries! I've known about your blog for a long time (it's kinda famous!) but never had a chance until now to read through it. And I love, love, loved this entry, what a perfect list! As always, lovely post, Maki. When I first lived in Japan (in ぼんち Kyoto) in the early 70s I was most taken by just how many things were done to provide mental relief from summer's heat & humidity. Even in tiny homes there appeared from storage beautiful summer crockery often in cool blues & whites or glass, summery chopstick rests, coasters, oshibori (おしぼ り）rests, and of course the oshibori (small moistened cloth to cleanse hands) themselves would be produced from the fridge so deliciously cool, noren (のれん）doorway curtains too in light summer tones, thin summer cushions covered in cool to the touch weave(? reeds or rice straw), sudare(すだれ）blinds made from reeds to provide shade at windows and doorways while allowing the passage of any tiny breeze and yes furin (ふりん). I appreciated my towelkette (a sheet made from cotton towelling) which absorbed moisture at night. I was fascinated by the ice delivery men transporting blocks of ice on the back of a bicycle. Restaurants along Kamogawa (Kamo river) erect platforms out over the river, so that diners can eat outdoors, with the river breeze and the cooling sound of the river. A special treat was to go into the northern hills and eat at a restaurant set up immediately over the beautiful Kibune river. Also the wealth of summer festivals and events with a 'beat the heat' basis. These days such attention to detail is not to be found in every home, with the ubiquitous air-con and aluminium window frames but one hopes considering global warming that more people will choose to lower the air-con and make use of these clever traditional techniques, many of which appear in the pages of Genji. I would be less than honest if I didn't admit that when commuting as a 'sarariman' in the 80s & 90s in Tokyo the introduction of airconditioned carriages on my line was a great relief. Crammed in a carriage with sweat running down my legs and make -up sliding down my face was extremely unpleasant. I've just found your blogs today and have been hours on my laptop reading them. I went to Singapore a month or so ago and dined at two different Japanese restaurants, one an izukaya, the other a charcoal grill. Fell in love with the food and am now determined to learn as much as I can and make Japanese cuisine part of my normal diet. I am now looking forward to saving enough for a holiday in Japan. In the meantime, I will be following your blogs and learning from them. Thank you for providing such interesting reading. 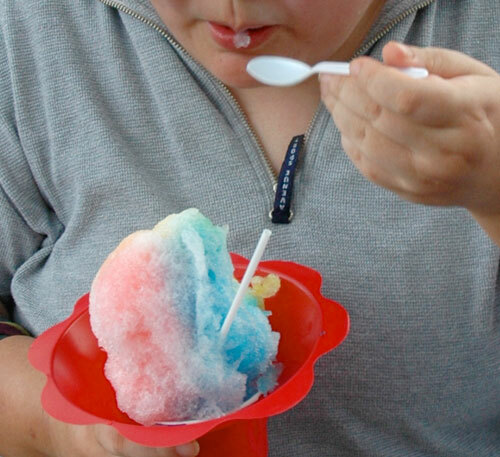 when i was in tokyo ago (during summer), i ate a lot of shaved ice because its just the best way to cool down (a bit). when i can, i turn nocturnal. it's cooler at night.